Great Valentine’s Day Limousine Experience in San Diego! 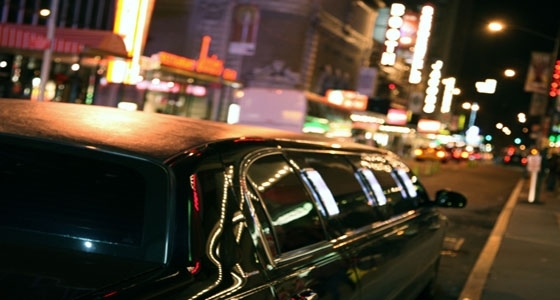 Home » Blog » Valentine’s Day Limousine Experience in San Diego! Valentine’s Day Limousine Experience in San Diego! This Valentine’s Day was one to remember for this group of couples! Masterpiece Limousine is happy to provide limo transportation for these couples on an impromptu Valentine’s Day evening through San Diego’s most fun and bustling taverns, bars, restaurants and more! Continue below to read our limousine driver talk about this exciting Cupid Day’s night! “On Valentines Day, I took a group of a few couples out of a night around town in our stretched Escalade limousine. With nothing planned or scheduled, the clients wanted to drive around for a few hours, and the only direction I received was, ‘Drive North’ from East County. Heading up the 15, we made our way across the 78 while I did my best to judge the group while they socialized in the back of the car. After I suggested we make some stops at a local tavern, they agreed and I made my way to Coyote Bar & Grill in Carlsbad. Always a “feel good place”, as we neared closer, one of the women piped up and said ‘Coyotes?’ and a resound approval for my choice echoed in the back. After staying there for a few drinks, the clients were back in the car, and we were back on the road. Taking the coast route South, I headed back toward San Diego, thinking of a place to take them next. I decided to change things up a bit and take my group to The Kraken. The Kraken is always a happening, live dive bar right across the beach. As I pulled up, I heard, ‘The Kraken!’ and gales of laughter from everyone. Upon exiting the limousine, I received a few slaps on the back. Stationed across the street, I had an easy view to see my clients when they exited later in the evening. As we departed, the evening winded down and I heard someone mention Mexican food. On that cue, I started to locate a 24-hour taco shop. Finding one to my liking, we headed straight to a local place in Kearny Mesa area. As we were about to pass the taco shop, I asked if they were hungry and of course we made the stop. Everyone was hungry. All our drivers are highly experienced and familiar with the San Diego area, and surrounding areas! Even if you and your group have no game-plan for a fun night out on the town, our drivers can provide a great amount of suggestions based off their professional judgement. Masterpiece Limousine is here to make sure your Valentine’s Day Limousine experience goes beyond far and beyond the comfortable and luxurious limousine ride! Be sure to sign up for our specials! You’ll be the first to know of any Limousine specials in San Diego that we have to offer! For reservations and/or additional information on our Holiday and Valentine’s Day Limo Rentals in San Diego, please contact us toll-free at 858-483-5466. ‹ Wine Tour Limousine Experience in Temecula Wine Country!